Ethical food firm The Redwood Wholefood Company is giving away free tasters of its delicious veggie and vegan foods today. The multi award winning company, which was recently named the UK’s most ethical vegetarian food company by consumer handbook The Good Shopping Guide, is hosting the ‘open tasting’ day at its factory in Corby. “We’ll be cooking up all sorts of tasty foods, from pizzas and burgers to hotdogs and wraps,” said Redwood’s Lee Rockingham. “What we want to do is show shoppers and businesses in our home town just how many different products we produce here and give them the chance to ‘try before they buy’. Among the many delicious foods produced by Redwood in the town are tasty meat-free ‘turkey’ roasts, streaky style ‘rashers’, award-winning sausages and dairy-free ‘cheeses’. There are also gourmet burgers, hotdogs, ‘duck with a Hoisin glaze’ and Southern Fried ‘chicken’, all meat-free of course, as well as dairy-free cheeses and fishless ‘fingers’. Ideal for vegetarians and vegans, Redwood foods are perfect too for people who are lactose/casein intolerant and anyone who wants to cut down on the amount of meat they eat. Everything in its range is produced from 100% natural plant-based ingredients and free from meat, egg, dairy, lactose, cholesterol, hydrogenated fats, artificial colours/preservatives and GMOs. As well as selling through health food shops and selected supermarkets, Redwood also produces foods that are used by supermarkets in ‘own-brand’ ready meals. The company exports worldwide too. Redwood’s open tasting day will take place at The Redwood Wholefood Company, Redwood House, Burkitt Rd, Corby, NN17 4DT. Tel: 01536 400557. Redwood is the leading supplier of vegan foods to the health trade in the UK and is 100% British. Recently rated the country’s most ethical vegetarian foods supplier for the fifth year running by The Ethical Company Organisation, Redwood produces more than 50 different foods under the Vegideli, Cheatin’ and Cheezly brand names at its animal-free factory in Corby, Northamptonshire. Everything in its range is made from 100% natural plant-based ingredients so free from animal ingredients and derivatives as well as cholesterol, artificial colours/preservatives, lactose, hydrogenated fats and GMOs, making them suitable for vegetarians and vegans as well as those looking for healthier and more ethical lifestyles. Widely recognised as one of the most innovative and inspirational vegetarian food companies in the UK, Redwood is renowned for being at the cutting edge of food manufacturing and exports to 18 countries worldwide. As communities, businesses, schools and others across the UK start a week-long celebration of all things vegetarian, a new report released today reveals that more than £140 million a year is spent encouraging people to eat more meat. The government recently advised people to cut down on meat for their own health and environmentalists are in broad agreement that cutting meat consumption would help reduce greenhouse gas emissions, so it’s not just vegetarians who will be shocked by the figures unveiled today. 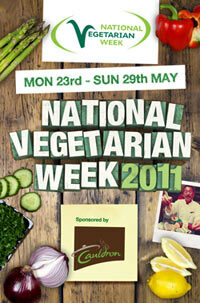 The study was commissioned by the Vegetarian Society to mark the start of National Vegetarian Week. 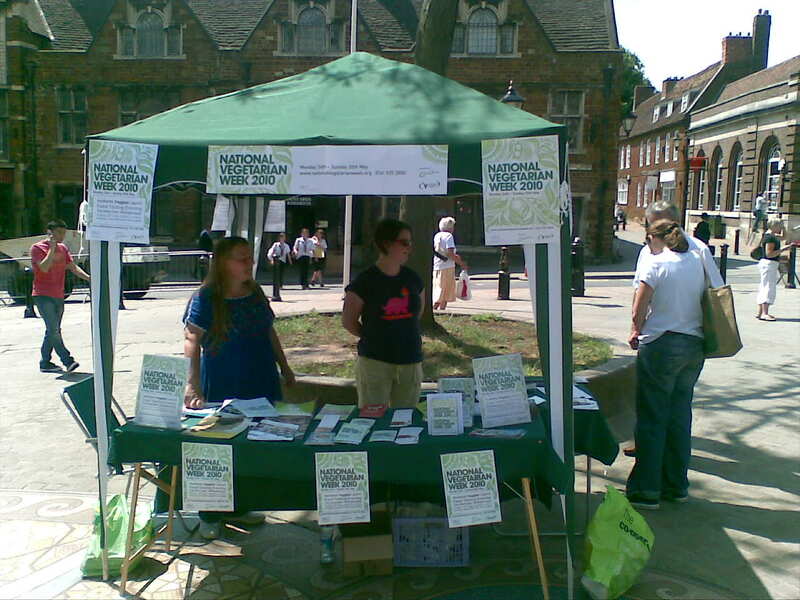 It was carried out by the Ethical Consumer Research Association and found that in 2009 (the most recent year for which figures were available) more than £140 million was spent on the promotion of meat and meat products in the UK, primarily on the commercial advertising of branded products. 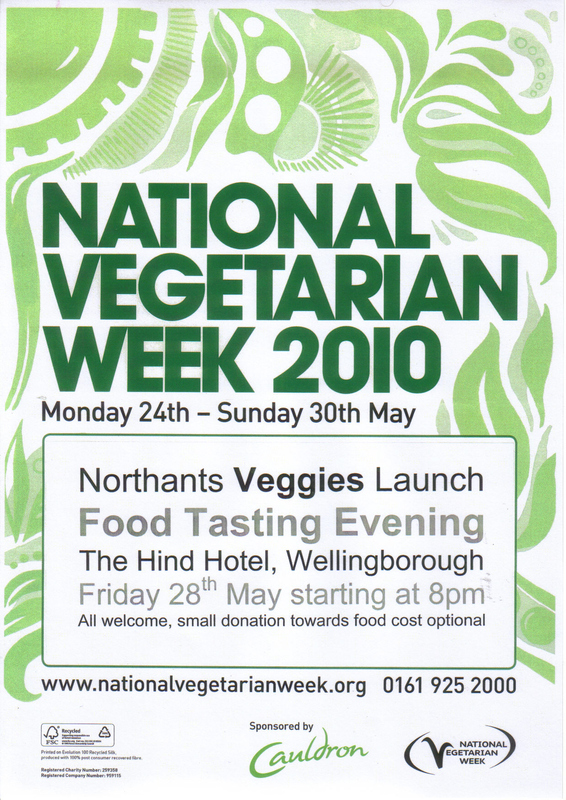 National Vegetarian Week 23-29 May, sponsored by Cauldron Foods, is coordinated by the Vegetarian Society, an educational charity formed in 1847.